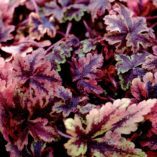 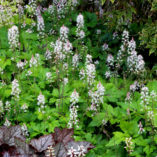 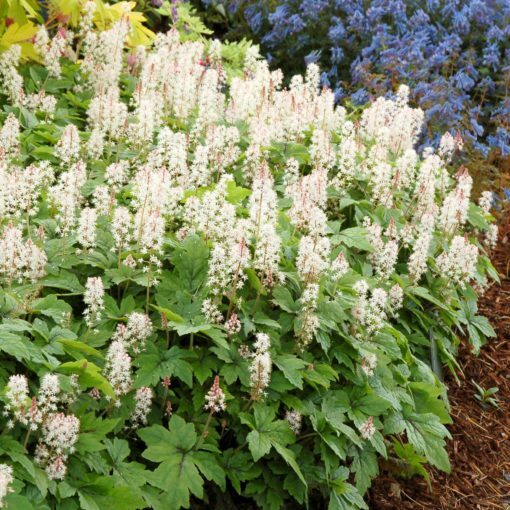 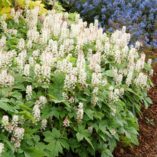 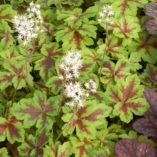 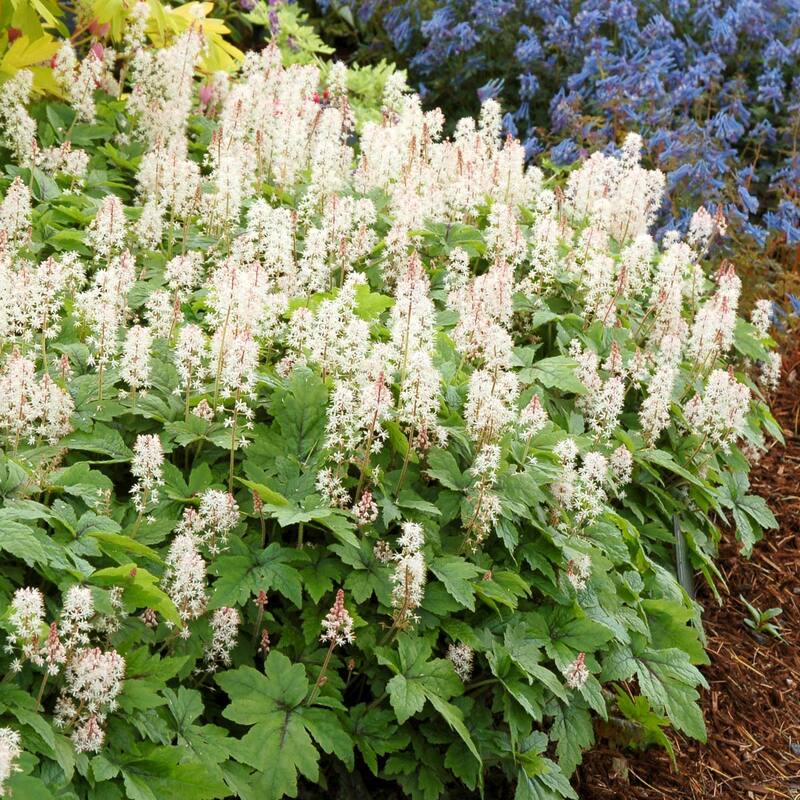 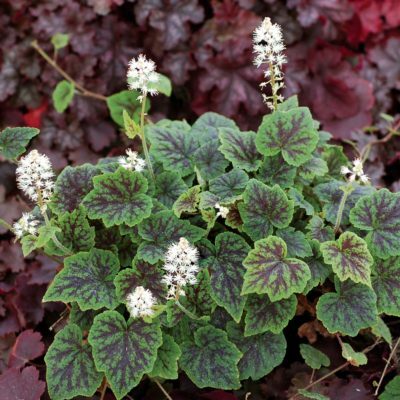 Tiarella ‘Crow Feather’ | TERRA NOVA® Nurseries, Inc. Bright green leaves are cut and deeply-marked with a black feather. 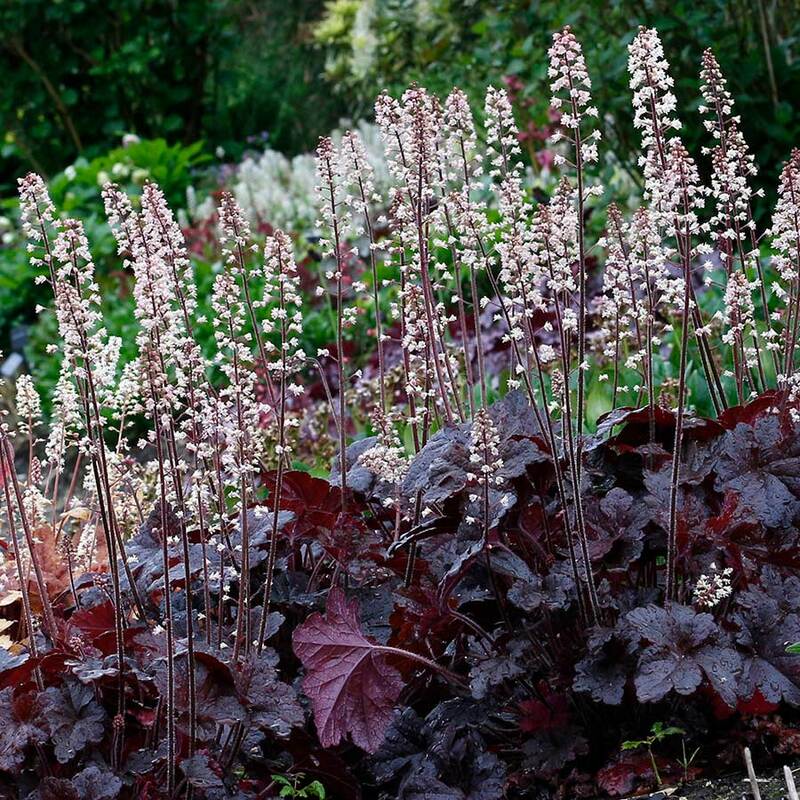 Probably the best winter color of ALL Tiarella – simply stunning with a brocade of pinks, reds, purples, and blacks. 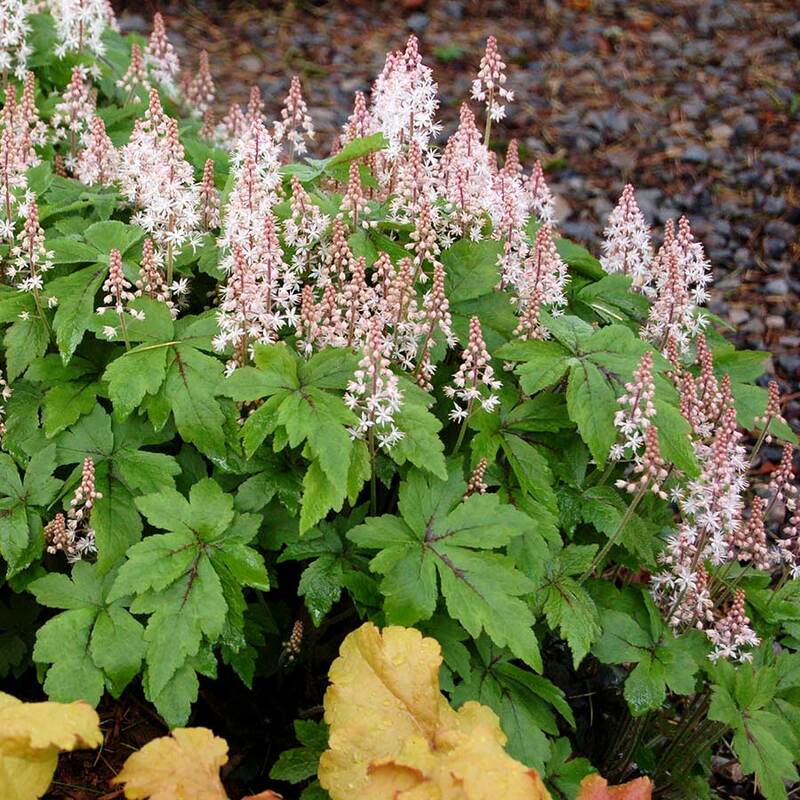 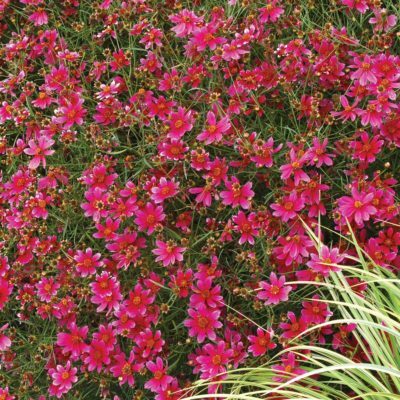 A strong grower with a mounding habit and light pink flower buds changing to white spring flowers. 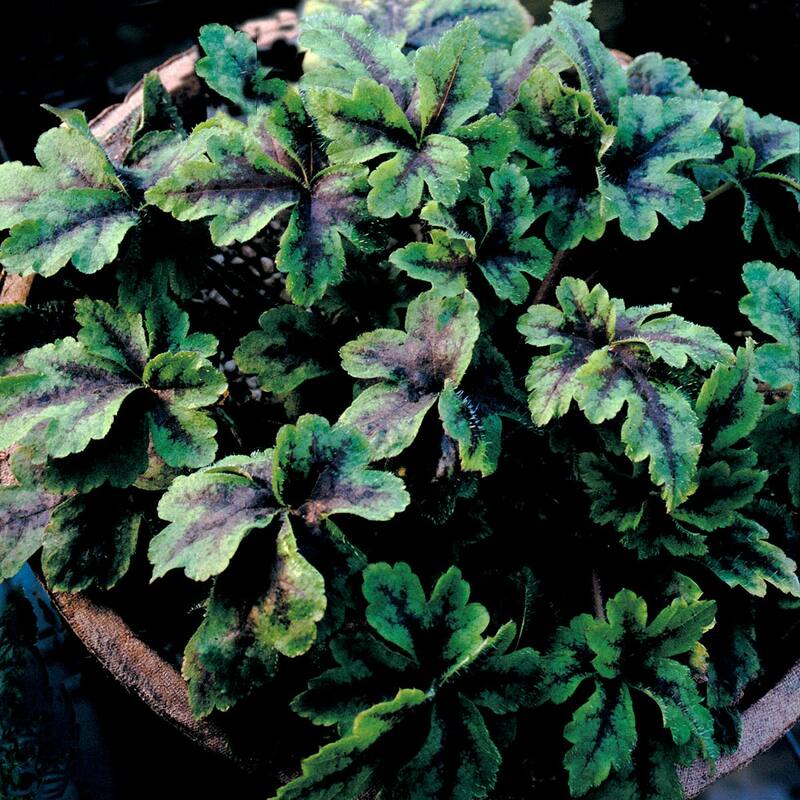 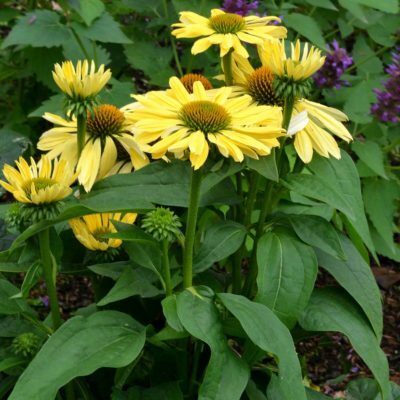 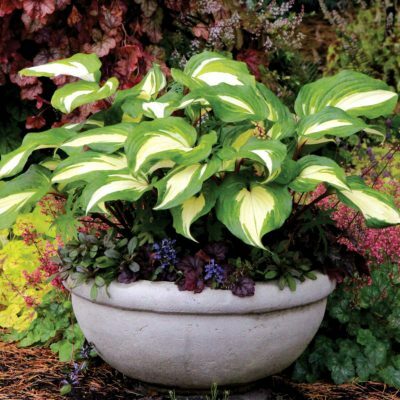 8" / 11" / 12"
It has distinctive leaves with a feather pattern.